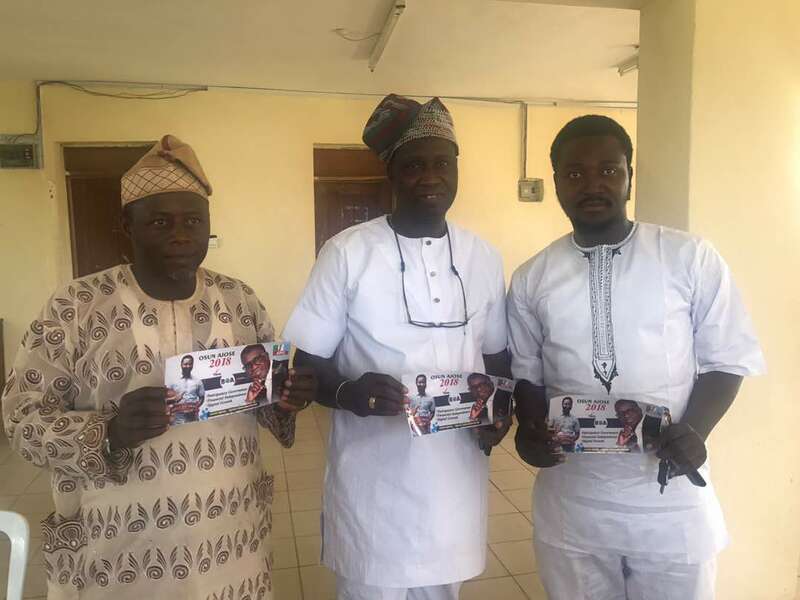 A film producer Azeez Adeniran aka Babanla has donated some motor stickers in support of the governorship aspiration of Benedict Olugboyega Alabi (BOA) in Osun state. The aspirant from Osun West senatorial district received the outstanding endorsement from an Osun based fast rising moving actor and a producer artist, Babanla. This occurred on Friday 4th day of May 2018 at Osun Ajose foundation office in Oshogbo. Babanla also endorsed Benedict Olugboyega Alabi BOA as the incoming governor of the state of Osun later this year. In his statement, Babanla lamented the reliability and capability of BOA to be the next governor. Babanla made this endorsement to be a dynamic one by donating stickered motor for BOA campaign teams. In his reaction while receiving the endorsement, Benedict Olugboyega Alabi BOA thanked Almighty God for the blessing and he also appreciated Babanla and his crew for the kindness for the progress of Osun state. He also revealed his great pleasure to all people of Osun state for their support so far and urged them to be optimistic for better governance when he emerged as the governor. According to him, "we ought to be focused on where we are going not where we have fallen. Humanity development and progressive work are my utmost priorities. So I urge you to support my selfless and very bright ambition."